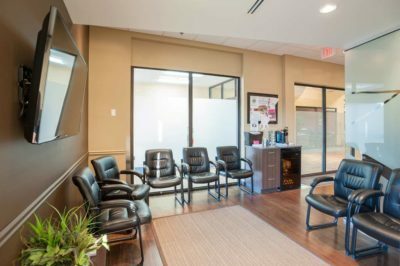 To ensure your dental appointment at Day Dental is pleasant, please take a moment to familiarize yourself with our office policies and procedures. If you have any questions, please feel free to contact us at (403) 227-0228 or speak to us on the day of your dental appointment with us. Please understand that it is your responsibility to keep track of your upcoming dental appointment. As a courtesy, we send out reminder emails to you 2-3 weeks before a requested appointment and make confirmation calls or send text reminders before all appointments. Although we will make every effort to contact you before any appointment, it is ultimately your responsibility to ensure that you will be at your appointment unless other arrangements have been made in advance with our office. of 2 business days’ notice if an appointment needs to be rescheduled. There are many times when our patients require urgent or emergency treatment and therefore require an appointment as soon as possible. Ideally when patients give the our clinic advanced notice to rebook a scheduled appointment, this time, can, in turn, be allocated to those patients in need of urgent treatment. In this way, the clinic can best serve the needs of ALL patients. At Day Dental, our goal is for you to have a pleasant experience in our office. We strive to help you to the best of our ability in helping you attain a high level of dental and overall well-being. please do not hesitate to contact us at (403) 227-0228.